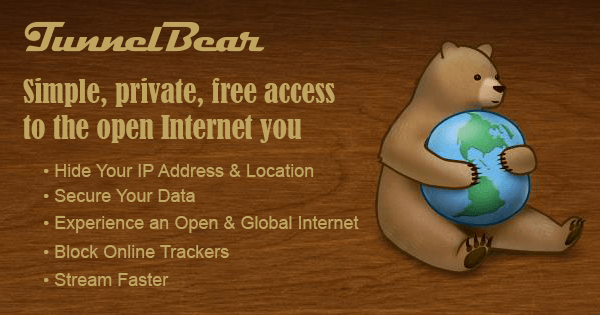 TunnelBear ReviewIf you are looking for a top quality VPN product that offers secure internet browsing, then TunnelBear has just answered your prayers. This innovative and fun company lets users explore the wonderful world of the web, without having to worry about hackers.With so many devices always pushing and pulling content on a minute by minute basis, it’s becoming even more important to find an encryption company that has your privacy in mind. That’s where TunnelBear comes into play.Click Here To Visit TunnelBear Official WebsiteTunnelBear offers a 360 full coverage platform for all your devices, including phone, notepad, Mac, PC and even browsers, making them an easy company to choose when looking for a cross platform solution.About TunnelBear.comFounded in 2011, TunnelBear is based out of Toronto, Canada. Like most VPN’s their app allows users to bypass content blocking found in some countries, while still offering a safe alternative to online browsing.Their goal is to provide customers with a secure browsing experience while masking one’s personal IP address. By using TunnelBear, you bypass the standard internet protocol, and your information is diverted through their secure servers, or “tunnels” as they call it. In addition to a safe online experience, they aim to help those who may not have full access to the internet, gain access. For example, if you live in a country with restricted internet access, it is possible to reconnect through another country’s location and gain access to information previously denied.Their team is creative, light hearted and have a passion for security, as you can easily see based on their app design and themed website. But don’t let all those cute bears trick you, these guys mean serious business when it comes to the highest standard of internet security. Tunnelbear FeaturesIt’s an app that you can download that masks your IP address to list your location as a particular city instead of your personal IP address. The app comes in a variety of forms to accommodate all browsing activity including IOS phones, Android Phones, Mac and Windows.Once you have downloaded the app to your device it offers the following features:Always On – Saves your settings to automatically connect and stay connected while browsing the internet. The application will keep your IP address and data secure 24/7. Even when you’re not actively browsing, for example, locator apps accessing your phone, push notifications, etc.Simple Design – TunnelBear wanted an app that was as easy as it is effective, so there’s no flashy interface to confuse you on how to use the program. It’s either On or Off. That simple. Data Map – A nifty feather that the app offers is a visualization of how your data is traveling around the world. This feature is more of a cosmetic feature than anything else, but cool nonetheless.Strong Encryption – The meat of the application is its encryption methods. It uses a very strong AES 256-bit encryption by default and does not allow anything lower in standard.3D Touch – Touch screens are everywhere, and yes, TunnelBear has one too. Not for the hipster lifestyle, but really to make the interface a bit quicker. Fast and responsive touch screen options are easy to navigate and use. Safe WiFi Options – Browsing free WiFi is all fun and games until someone steals your identity. TunnelBear allows you to browse with confidence, passing your data through a separate encryption to secure your personal information. Making WiFi access much more reliable and easy.Dedicated Support Staff – Nowadays finding an “online company” that has support staff is like finding a needle in the haystack. 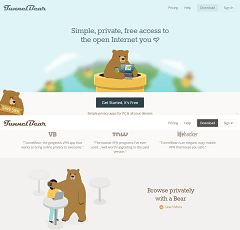 But TunnelBear has real people working to help you if you find yourself scratching your head. This benefit alone raises the bar for competitors and makes it one of the best options in the market. World Wide Access – They offer over 20 different countries to choose from when activating your app. That means whether you’re traveling, or simply want to check out various country’s online content, everything is at the push of a button.No logging/No data sharing – The first thing to know is that they don’t log or share any data whatsoever. One of the biggest ways a company gets information is from various apps sharing your personal data. Encryption Method Breakdown:One of the most significant features of an online security app is how they code their encryption. TunnelBear is very clear on the types of encryption they use based on platform type breaking down exactly how they go about protecting your privacy. While I certainly understand that some of this content may be Greek to you, by just displaying their encryption methods gives a vote of confidence and shows you that they know what they are doing when it comes to programming.TunnelBear PricesTo get started with TunnelBear it’s free! Of course, if you want more data coverage then they have that option as well. Overall, the prices for this VPN security app is very reasonable and with a small bump in a monthly subscription one can have unlimited data. Here’s a breakdown of the prices based on data/plans TunnelBear.com has to offer:Little Free: Little Free costs about what you’d expect, nothing. This tier plan comes with a standard of 500MB of data free each month.Giant: The Giant option grants you unlimited data each month, and will cost you $7.99 per month, billed monthly.Grizzly: If you love TunnelBear and want to opt in for the granddaddy Grizzly tier, then paying an annual fee of $49.99 breaks down to just $4.16 per month for unlimited data. Criticism of TunnelBear.com While the website is straightforward and modern, it does require one to locate specific pieces of information by searching the footer at the bottom of the page. This design can make it a bit confusing on what the product offers and how it works if you don’t dig into the site a little bit.Also, their help section is broken down into very broad categories, making a bit cumbersome to filter through the various “articles” offered to help answer questions. The search option within the help page provides a bit more accuracy, but even when I searched, “what happens when I use up my data” it came back with only a couple topics relevant to my search terms.I also wanted to find out what happens if you use up your free data but was unable to dive into more details on the topic. Having a fine print, or terms and conditions around the “free” product would give me a bit more confidence to download the app and give it a try. 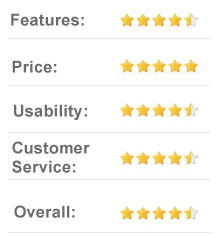 Customer SupportOkay, so we have a high-tech company focused on making online user experience fast, easy and reliable. So how do they measure up when it comes to customer support?They mostly focus on self-help, which can be perfect for those who are a bit tech savvy, however, I was a bit surprised to not see a live chat option in the help menu. Granted, their app is super simple to use and probably doesn’t have a lot of customer complaints, but finding a way to contact them directly was unavailable. What they did have was topic articles aimed at providing customers with the information they need. Topics include status updates, accounts, and payments, windows help and getting started to name a few.You can also use the search bar as stated earlier to filter through the posted articles without having to go into each one, making your initial search a bit easier. From there, you can then jump to specific articles that include your search topics helping you find the answers you need.Final Thoughts Unfortunately, most of us don’t take privacy and security as serious as we should. 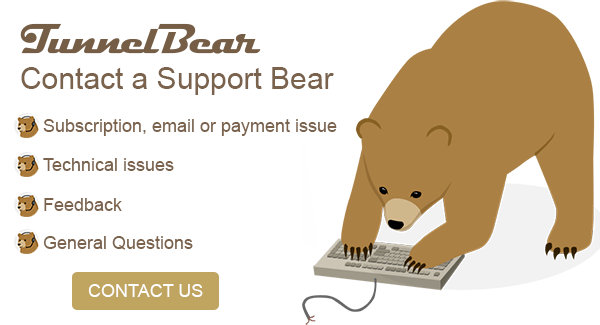 Thankfully, the Bears at TunnelBear are working to keep you safe. Finding a secure, efficient and easy to use VPN is a perfect way to make sure you are always protected.No more having to key up your code on your VPN token, log into a secure site, and wait to get access. With TunnelBear, just swipe the button to on and get to work. 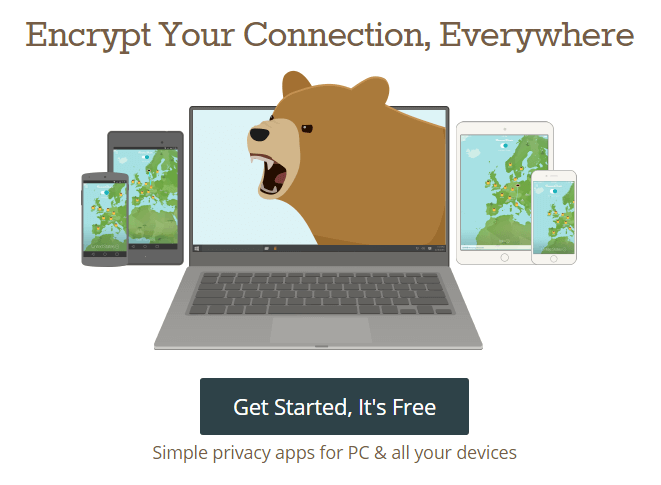 If you are looking for a great VPN option that delivers, then we highly recommend this app.There’s plenty of other VPN apps out on the market, but none that are as simple, easy to use and robust as TunnelBear. 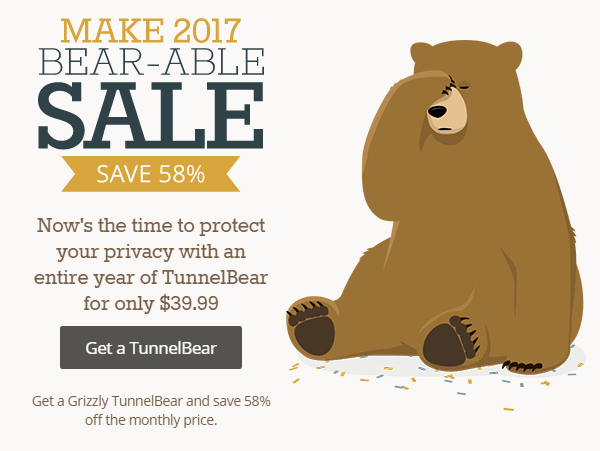 Combined with the fact that they support every possible device out on the market, there’s no reason why you can’t take your privacy a bit more serious.Overall TunnelBear offers a very reasonable price for online security. Their details around coding are top notch; their app design is clean, simple to use and efficient. A top choice.